Welcome to the website of the All Party Parliamentary Group (APPG) on Microfinance. Microfinance offers poor people access to basic financial services such as loans, savings, money transfer services and insurance. The purpose of the APPG is to raise awareness of microfinance and the role it can play in reducing poverty, particularly in the developing world. As such, the APPG also provides a Parliamentary forum for discussion on new developments and current debates in the field of microfinance. The APPG has 38 members from the House of Commons and the House of Lords, representing all of the main political parties. 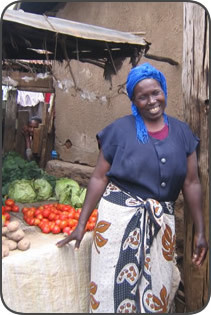 In November 2010 the APPG launched an inquiry into the impact of microfinance on poverty and how the UK Government and other donors should support the field. This culminated in the report 'Helping or Hurting? What role for microfinance in the fight against poverty?' which was published in June 2011. For more information please go to the Inquiry section of this website. RESULTS Education (a registered charity, number 101528) provides a Coordinator to act as Secretariat to the APPG.